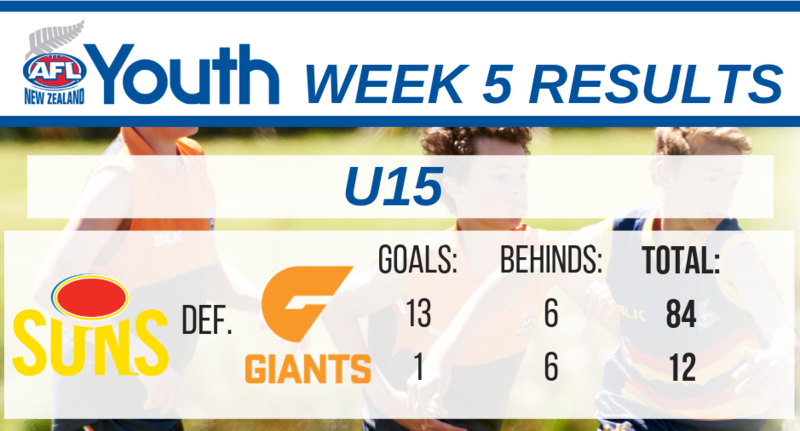 We start this week in Canterbury where in the U15 grade, the Suns got their first win on the board as they ran out 12 goal winners over the Giants. Tony Worthington was named best for the Suns and Max Morris for the Giants. 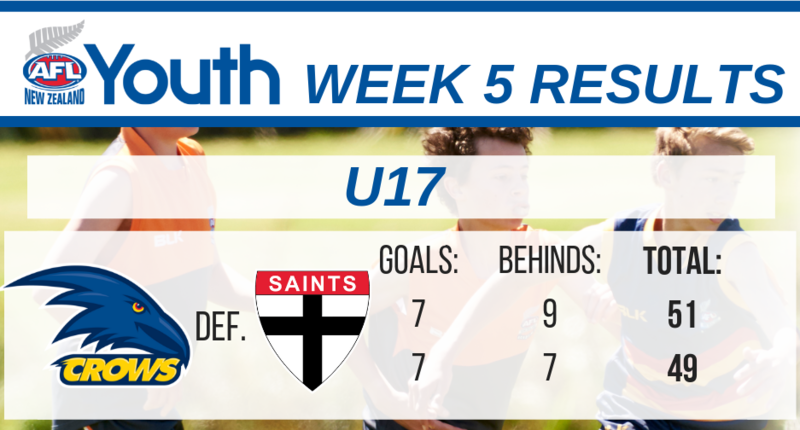 It was a tight game in the U17 grade where the Crow’s kicked a goal in extra time to steal a two point victory over the Saints. New Zealand age group stars Finn Moffatt and Devin Pullyblank were the stars of the shows collecting the player of the day awards. 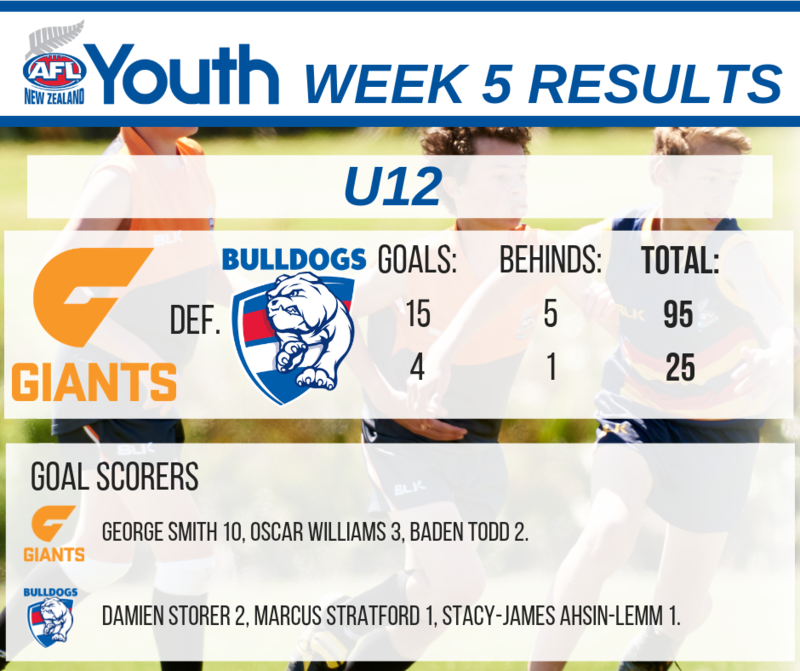 In Auckland, the Giants kicked fifteen goals to setup a big win in the U12 grade. 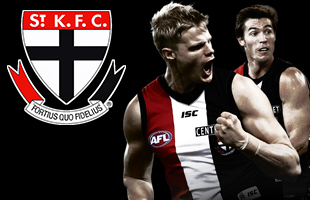 Young superstar George Smith kicked ten goals for the game in an impressive display. 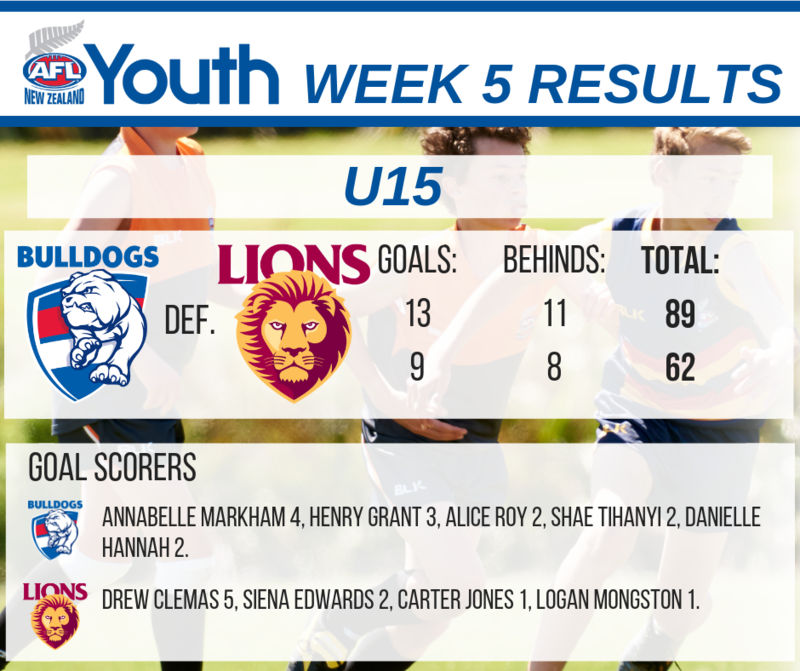 Annabelle Markham kicked five goals in the U15 grade as the Bulldogs beat the Lions. Debutant Logan Mongstan was awarded player of the day for the Lions in his first game of AFL. 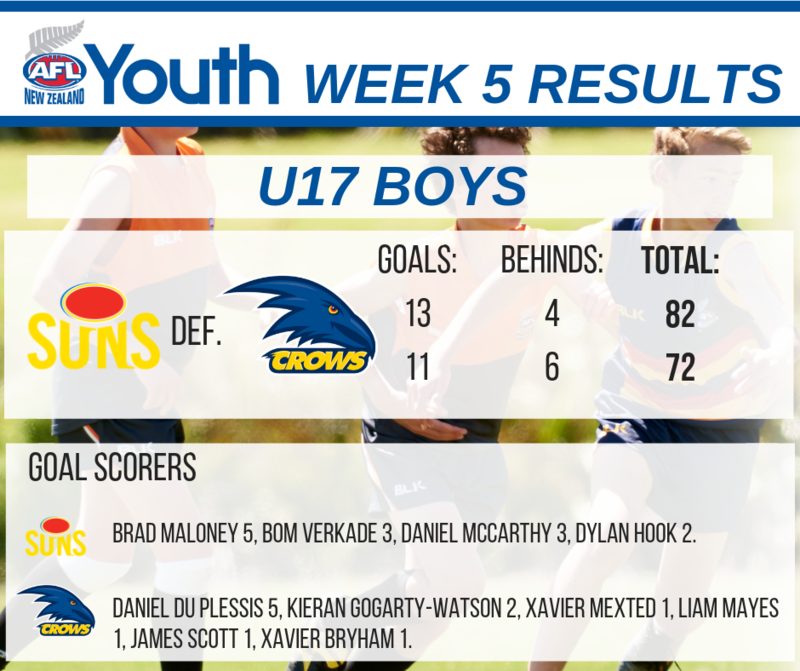 In the U17 grade, it was a close finish as the Suns defeated the Crows by 10 points. Northlander Dylan Hook and Xavier Bryham took out the players of the day. The 16 and Over female grade took a week off as the majority of the players were involved in the successful NZ Kahu campaign the day before.